Posted on 28, January 2019 by EuropaWire PR Editors | This entry was posted in Entertainment, Internet & Online, Sports, Switzerland, Technology, Telecom and tagged bluewin.ch, Clash Royale, eSports, eSports league, gamers, games, gaming, Go4Cups, group games, Hearthstone, League of Legends, Nadine Jaberg, Natelpay credit, Overwatch Go4 Switzerland Cup, prizes, Swisscom, Swisscom Hero League powered by ESL, twitch.tv. Bookmark the permalink. 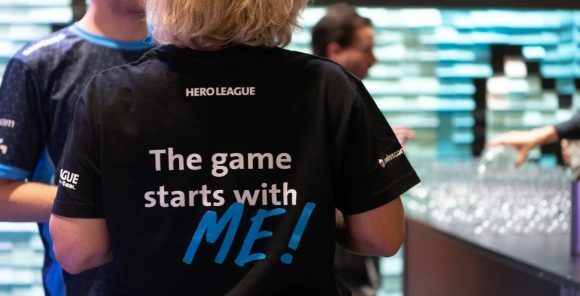 BERNE, 28-Jan-2019 — /EuropaWire/ — Swisscom’s own eSports league, the “Swisscom Hero League powered by ESL”, was launched back in November, 2018. Since then more than 2,600 gamers in eight qualification rounds competed through the end of 2018 in the games “League of Legends”, “Hearthstone” and “Clash Royale”. In addition, more than 20,000 spectators have viewed the world of gaming on Swisscom TV since the launch, 4 months ago. Swisscom Hero League is now preparing to launch two new games starting 1 February, 2019. The first one is “Fifa19” and is offered in individual player mode. The second one is called “Overwatch by Blizzard Entertainment” is a group game and is going to be played with teams of six. Both games are not going to be played in the professional league for now. Instead, the teams or players can compete in the weekly Go4Cups “Hero League FIFA19 Go4Cup sponsored by Swisscom” and “Overwatch Go4 Switzerland Cup”. Cool in-kind prizes or Natelpay credit for various online stores are offered and can be won by players every month. In addition to the two new games launched, on 18 February 2019, the group games of the professional league will begin with “League of Legends”, “Hearthstone” and “Clash Royale”, which will be broadcast on bluewin.ch and twitch.tv. The best eight teams or players in each game will compete in group games until 27 April for four places in the final, which will be held in May with a total of CHF 16,000 prize money to be won.